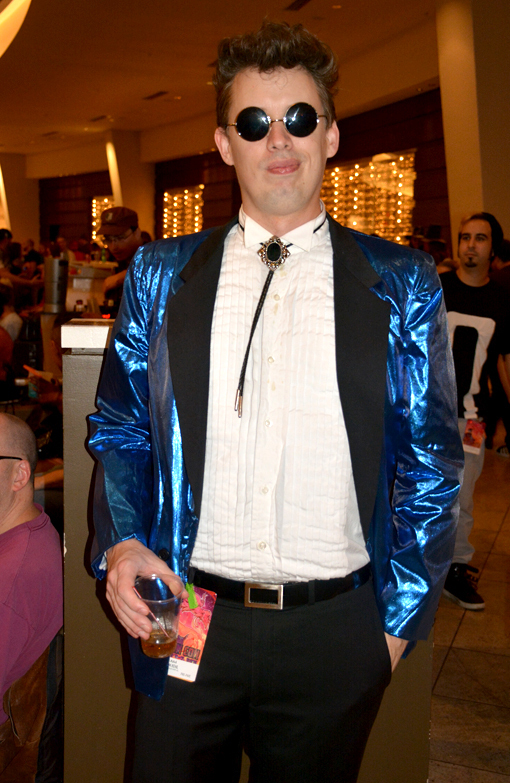 wanderlust ATLANTA: Dragon Con 2015 | Cosplay! Dragon Con 2015 | Cosplay! 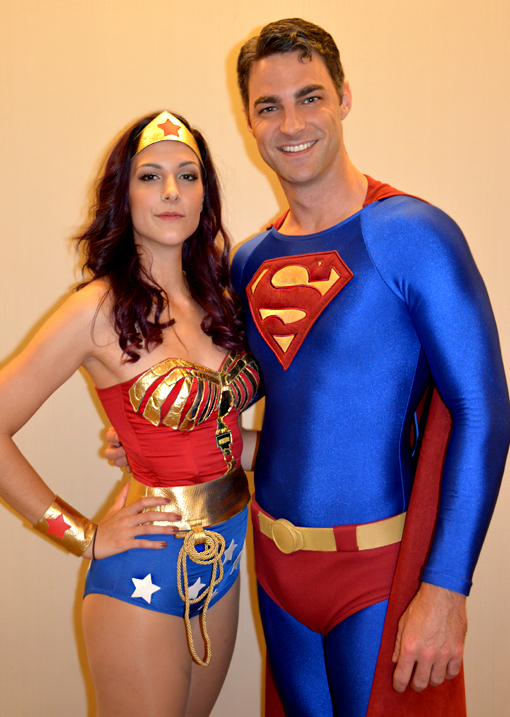 The BEST Superman at Dragon Con 2015 was my friend David. His wife Katie has been a great friend of mine for years through the Atlanta museum scene (I recently quoted her in a Museum of Design Atlanta article). They're both awesome! While Katie is a wonderful woman, this isn't her scene. The above Wonder Woman is also a brilliant cosplayer. As you can clearly see, these costumes are custom tailored for their respective superheroes. It's especially awesome to see David's final result after many months of preparation AND having seen childhood photos of him wearing a Superman t-shirt...this has been a long time in the making. Wonderful and Super, yes? When I saw this guy, I was so jealous! I did cosplay for Dragon Con a number of years back and went as a Starfleet Vulcan (I've been a fan of Leonard Nimoy and Spock for as long as I can remember). I'd since thought that if I did cosplay again, especially with the popularity of The Walking Dead, that I'd do a zombie Starfleet officer. The thing holding me back was that I didn't want to tear up my science officer blue tunic...and I haven't planned far enough in advance. Well, this guy totally nailed it! 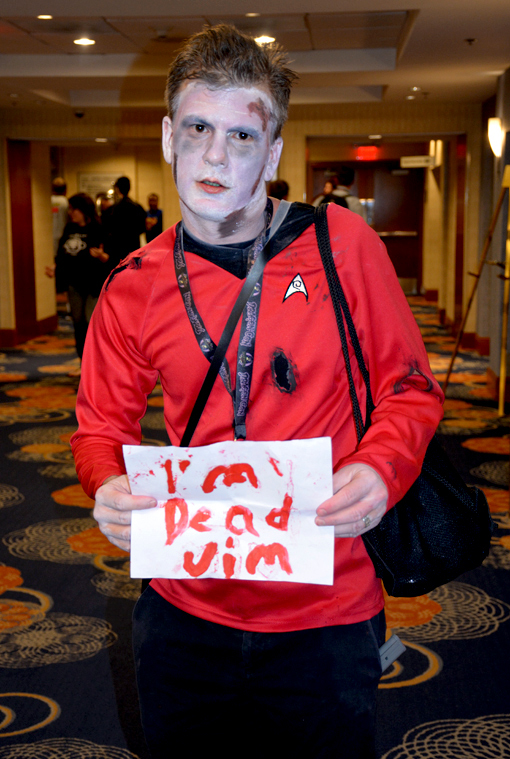 He was part of Dragon Con's "Zombie Walk" (another awesome event) and he brilliantly decided to be a Redshirt, characters who (almost) always die on away missions in Star Trek: The Original Series, AND he mimicked Dr. McCoy's standard, "He's dead, Jim"...absolutely brilliant! 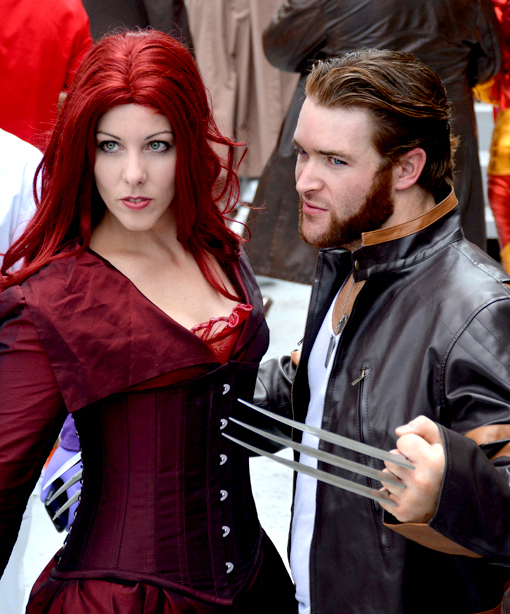 Of X-Men fame, Jean Grey and Wolverine are cosplay favorites, but I'm not sure I've seen this pair ever done quite so well. You agree, of course. 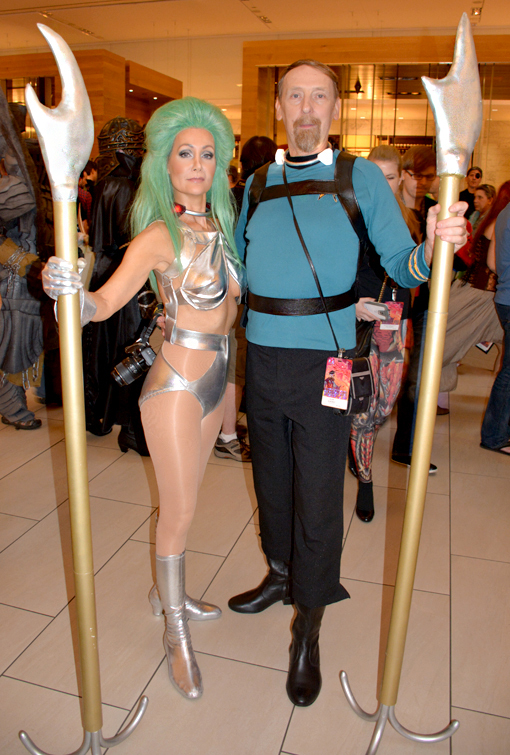 A lifelong fan of Star Trek, these two are favorites as well and Dragon Con staples. They shared with me that they now have so many costumes that for this four-day convention they now have to leave some of them at home. That's saying a LOT for these two, because ALL of their costumes are brilliant! 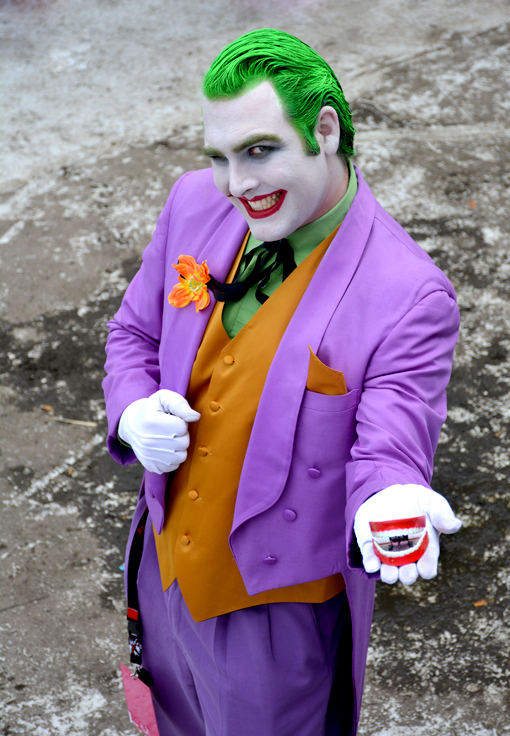 A number of costumes are done to PERFECTION, like this The Joker! There's nothing else I need say about this one...the brilliancy of this speaks for itself. This couple was awesome! If you know me, you know what a Star Trek fan I am, so seeing Commander William T. Riker (of Star Trek: The Next Generation) was cool, but ALSO seeing Miss Starlett of Went With the Wind (entrance at appx 13:00) was a highlight! I loved watching the Carol Burnett Show when I was a kid (and the reruns!) and have seen that particular episode approximately a bazillion times! The Gone With the Wind Museum in Marietta has a Went With the Wind doll and a Went With the Wind sock monkey! If you're a fan, you should totally check out that museum. Duckie! One of my favorite 1980s movies was Pretty in Pink. This guy (above) pulls off Duckie with brilliant accuracy. It could have been John Cryer himself! I don't think this was, but one of the super cool aspects of Dragon Con is just how frequently the celebrities hang with their fans. I ran into more celebrities in the halls and restaurants this year than ever before..for a celebrity-spotter like me, that's a great year! By the way, back in the 80s, people said I favored Andrew McCarthy, also of Pretty in Pink fame. Of course that was many years and many pounds ago. Then during my punk rock phase (bleach blonde hair, black clothes, spikes, etc. ), they said I looked like David Bowie. I was cosplaying and didn't even know it! 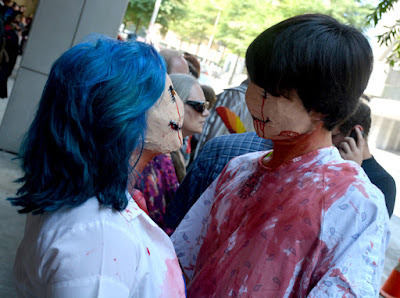 I'm just blown away at the fantastic costumes that Dragon Con cosplayers make 100% from scratch and by hand. There is so much incredible talent at this convention...more than most who never attend would ever think! If you want to be around creative, intelligent, talented, fun-loving people, come to Dragon Con and you too can hang with Buzz Lightyear! 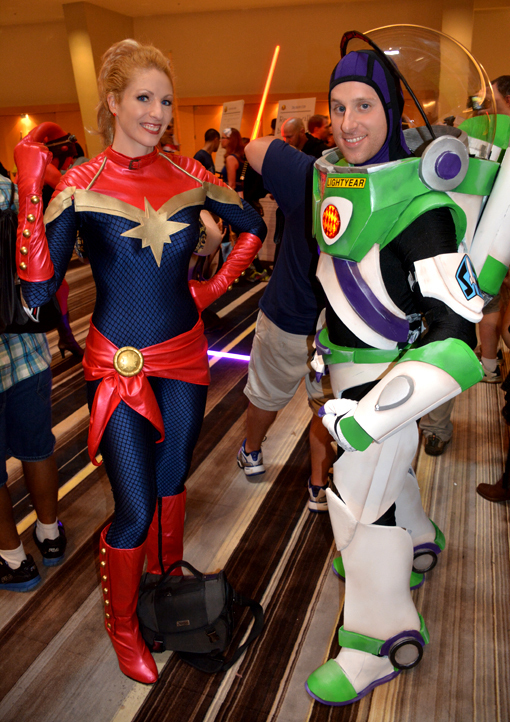 Some of the more fun costumes in Dragon Con cosplay are the clever mashups—the combination of two or more characters in a single costume. 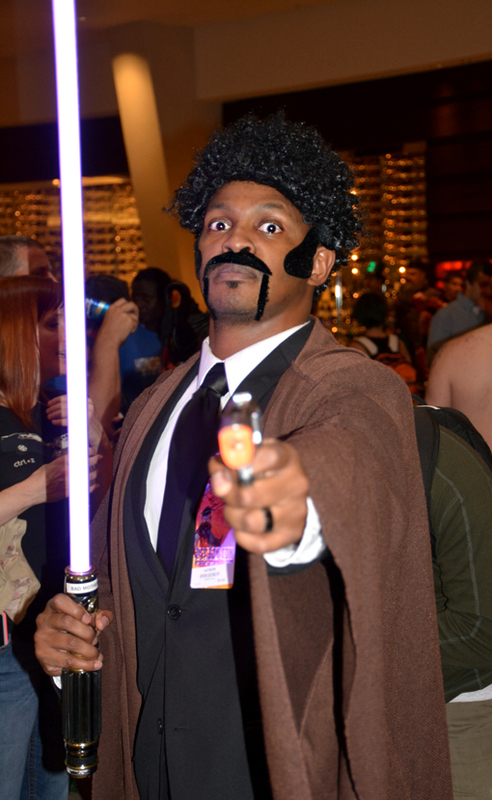 In honor of Samuel L. Jackson, this costume was a brilliant combination of Jedi Master Mace Windu in Star Wars and John Shaft in Shaft. Absolutely brilliant! One of the things as a veteran Dragon Con conventioneer accepts is that waiting in lines is part of the experience. The key to that not being a horrible experience is being upbeat, social, respectful and spotting opportunities for great photos! The two above were amazing! Hop over to the wanderlust ATLANTA Facebook page for more Dragon Con 2015 cosplay photos and if you want to be part of one of the country's largest conventions of its kind in 2016, you can get tickets here right now! 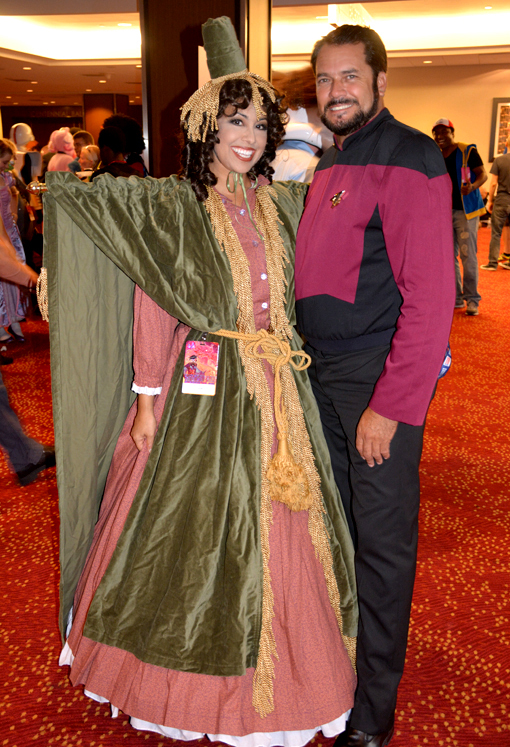 I'll be sharing more photos, in the coming days, of the 2015 Dragon Con Parade, Dragon Con Night at Georgia Aquarium and the Miss Star Trek Universe Pageant...and more!